According to the World Health Organization, physical inactivity is the fourth leading risk factor for global mortality. Physical inactivity levels are rising in many countries, with major implications for the prevalence of noncommunicable diseases and the general health of the world population. “The human body is designed to be on the move. We still have the genetic makeup of a hunter-gatherer even though most of us remain seated for much of the day,” says Dr William Bird MBE, Director of Intelligent Health. Intelligent Health is dedicated to increasing physical activity, achieving this through fun community-wide initiatives such as Beat the Street. Beat the Street is a real-life walking, cycling and running game for a whole community. In each area, lamp posts about half a mile apart are fitted with a sensor called a Beat Box. Players are given a smart card that they must tap on the Beat Boxes as they pass them. Each player’s journey is recorded, and points earned by travelling contribute to a personal, a team and an overall community total. In a 2012 pilot, 4,000 children from 13 schools, including schools in Shanghai, Vancouver, and London and Reading in the UK competed. The program increased the percentage of children walking to school from 63% to 83%. In Thurrock in 2014, over 14,000 players travelled 70,126 miles in less than seven weeks – almost three times around the world. In the UK, Beat the Street is being delivered on behalf of the National Charity Partnership – a collaboration between Diabetes UK, the British Heart Foundation and Tesco. The Coca-Cola Company provided funding in 2011 for the program’s development and supported the initial global competition in 2012. To find out how your community can be involved, contact the team via their website http://www.intelligenthealth.co.uk/contact. 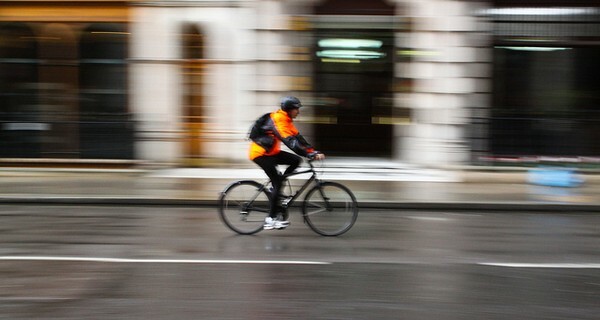 Image 'Cycling Blur(London Town)' courtesy of Geraint Rowland.